There is a running joke in Barcelona about the city being built with skateboarding in mind, and it’s easy to understand why. 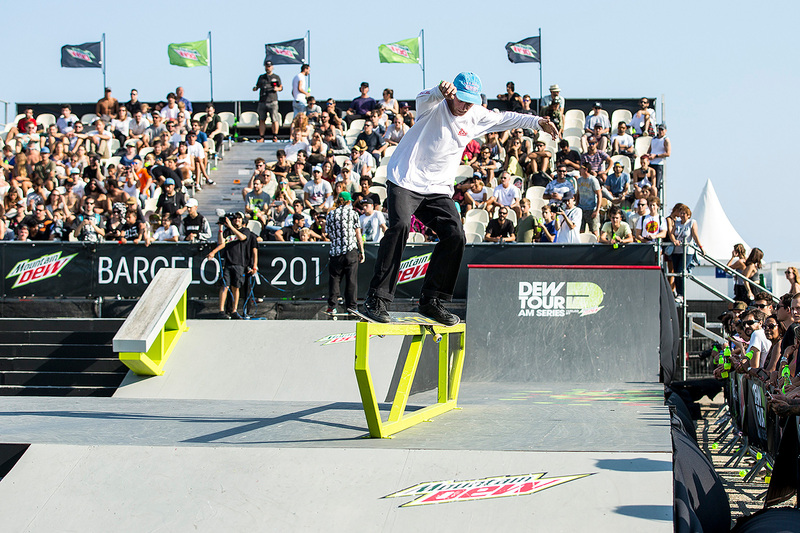 UNILAD Adventure were over in Barcelona for the Dew Tour AM series, an action sports competition which brings together some of the very best skateboarders in the world. 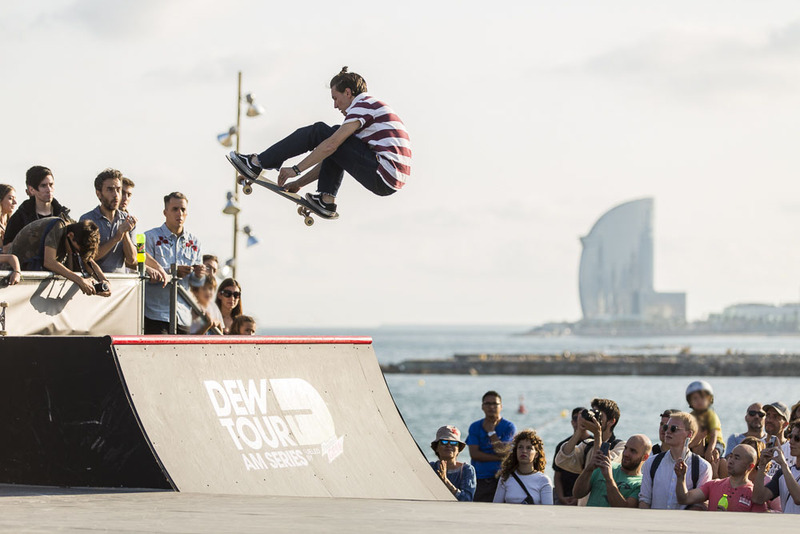 Among the contestants was 26-year-old Chris Colbourn who lovingly describes Barcelona as: ‘the Mecca of skateboarding here in Europe, and possibly worldwide’. With some of the best skate spots in the world, it’s unsurprising the relaxed, sunny city has one of the largest and most iconic skateboarding communities in the world. One of the most recognisable skate spots is perhaps the area outside MACBA, Museu d’Art Contemporani de Barcelona, where skaters can always be found making use of the wide open space with it’s tempting long ledge. The area surrounding Port Fòrum with it’s sublime ocean views needs no introduction, having been featured in various skate videos. Barcelona Sants Station with it’s granite benches is also a popular destination, as are the super smooth boulevards which run along the edge of the beach. Purpose made skate parks include the palm tree lined Mar Bella Skate Park and the Forum Skate Park. You can complete your pilgrimage by visiting the city’s numerous skate bars and shops, which are as much a part of Barcelona as tapas restaurants. 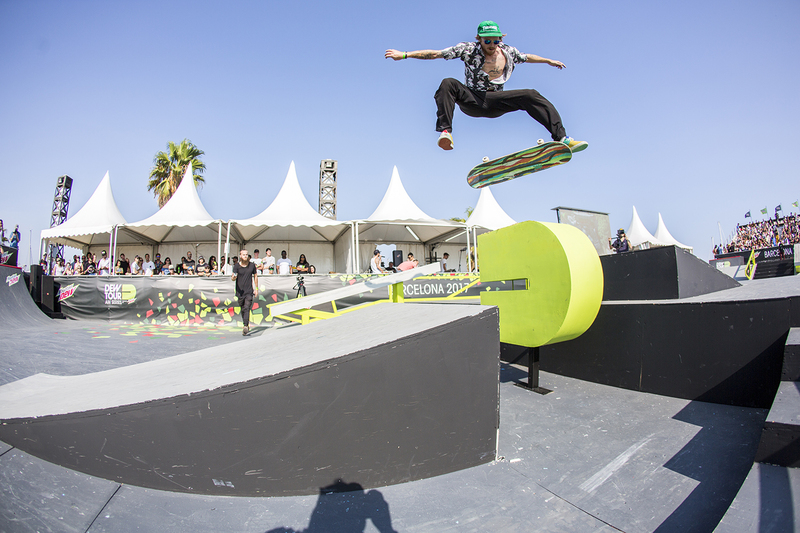 However, in Barcelona, skating is not just confined to the famous skate spots and parks. Here, skating is deeply embedded within the life and culture of the city and there are far less restrictions. With it’s flat streets, steps and ledge, the city can feel like a vast, sun-kissed playground for the imaginative skateboarder. The relatively chilled attitude towards skaters by police officers and locals creates a welcoming, tolerant atmosphere, where skaters can really unleash their creativity. It isn’t unusual here to find skaters freely making use of public space, perfecting the wildest of moves against curbs and walls which appear sculpted for them. Everyone seems very content who lives here. And the Spanish are like, ‘We’re going to eat breakfast at 11, we’re gonna be mellow about this. We’re gonna eat dinner at 10. You can go out whenever you want’. And it just fits skating so well. 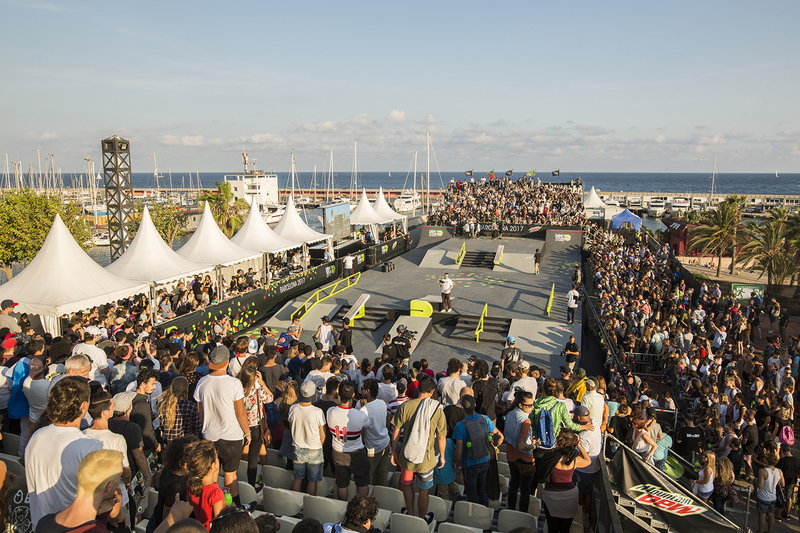 Sometimes described as being the ‘LA of Europe’, it appears the spirit of Barcelona’s skate scene has the potential to nurture and shape young skaters. 21-year-old professional skateboarder Chris Khan moved to Barcelona with his parents when he was just six-years-old. He claims, ‘Barcelona made me a skater’. Sun, sea and skateboarding. The most perfect city on earth?